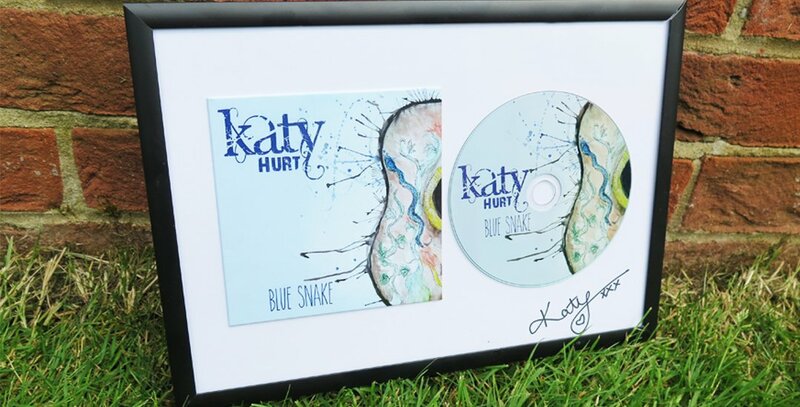 A huge advocate of country music, Katy Hurt truly is an up & coming star. Having entered many competitions, successfully reaching the final of ‘Teen Star’ at the O2 and even turning down The Voice, Katy is now well on her way to stardom. She reached the No.2 spot in the global Country Charts with one of her singles… being sandwiched between Dolly Parton and Kenny Rodgers was indeed one of the many high points of 2015! 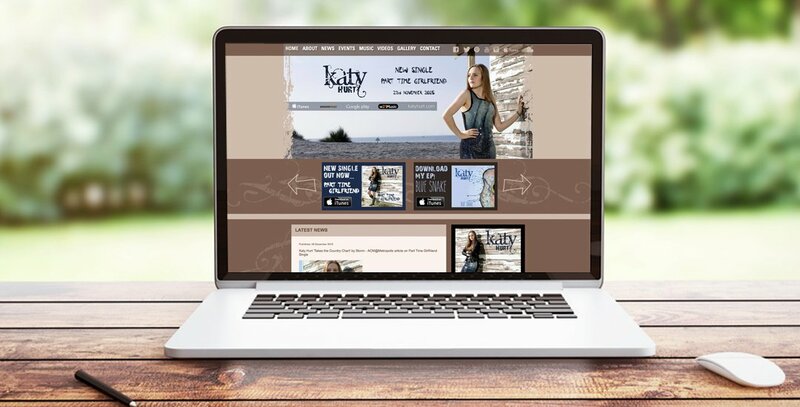 Such a talented and lovely young woman deserves a brand personality to match and a website which reflects who she is, showcases her musical talent, and promotes those all-important music downloads and upcoming gigs. 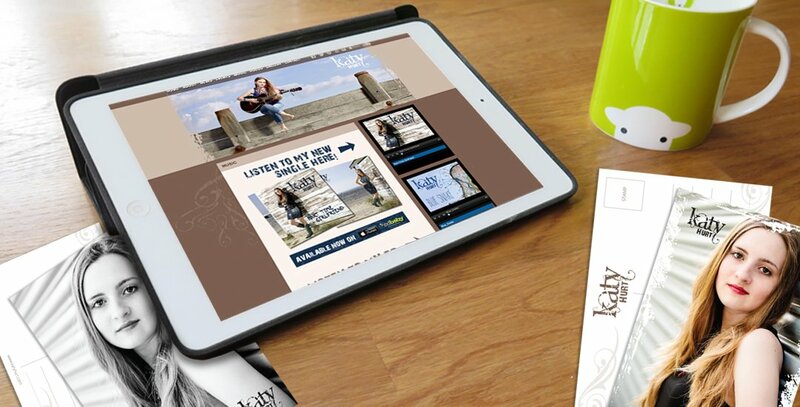 Katy loves the look we’ve created for her and hopes you do too; the updated responsive version is on it’s way soon!